Due to the widespread power outage last week, some distribution points did not receive copies of the Seattle Gay News until Saturday or Sunday, making it impossible to get to our Dreamgirls movie pass giveaway at Manray. We've saved passes for anyone still wanting to go to tonight's screening, which begins at 7pm in downtown Seattle. You can pick up a free pass at the Seattle Gay News office - 1605 12th Avenue (corner of Pine and 12th Avenue, in the same building that houses the WA State Liquor market). Go to Suite #31. Each pass admits two people to tonight's screening. Please make sure to be at the theater no later than a half-hour before showtime, as we're expecting a full house. 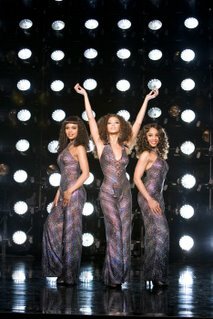 Photo of Dreamgirls, courtesy of Dreamworks Pictures.